Available For Sale or Lease, Development & Formation. Whether you have an existing business and you want to add another traffic generating domain to your link wheel or you are an entreprenuer starting up a new company, we are here to help you find the right brand name and start you up for a successful future . We will walk you through the process of building a business and support you through out the way. We help startups to help themselves. The complete B2B marketing solutions supported by SEO Experts. We have an extensive portfolio of Domain Names to fit most industries. What we do not have we can acquire for you. We will build your business and create a website that generates traffic and saves you on costly pay per click advertising. Whether you are a sole trader, a partnership or limited company we will register your business for you so that you can start to trade. A brand is a contemporary trademark word (s) or Logo to describe a product or business. It normally is a short name but it can also be an image that is recognised as signifying the source. * All Leased Domains and Website Packages are strictly over a minimum 5 year term. *Logos remain the property of 'Startbrand' and 'UK Website Designers' until the time of Domain Transfer. 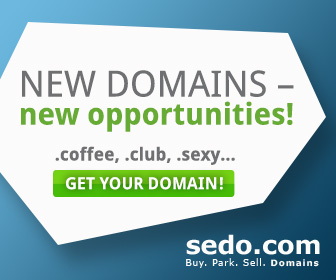 LIST YOUR DOMAINS WITH US! * We charge 15% commission through our own network. If we broker your domains through out partners sites the commission is 30% per successful sale. *We do not accept Adult Themed or illegal content Domains. *We are NOT an Auction site we are Domain Brokers. *Please specify if you are willing to lease your Domains at the time of checkout. *We cannot guarantee sales, this will depend on the quality of your domain. *We use keyword analysis to value our high ticket domains, all prices are correct at the time of publishing. *All Listing are in British Pound Sterling GBP and will be converted to your currency at the time of checkout. "Domains have and will continue to go up in value faster than any other commodity ever known to man." Our Service offers a 'Brand in a Box', a 'Ready Made Buisness' for you to Take Away. Domain Names are Virtual Addresses, they are Brand Equity - Digital Real Estate Assets. Just like the location you live in will determine property prices so will keywords determine your global positioning by owning an exact match keyword domain name. Unlike Real Estate, Domain Names also carry further value by the keywords used and how many characters aswell as seo, content, age and how much traffic the domain if devloped generations. The shorter the domain name and memorable, the more expensive it will become. Dot.coms are hot property, but thats not to say a country location won't do just aswell. A business in the UK will 9 times out of 10 pick a co.uk over a dot com as they want to control where their traffic is coming from, unless they want a global audience. This applies to businesses in most countries that look for their country extension availability over a dot com. Domain hacks with a country extension other than your own will not benefit a business other as a one time only quick link and should not be relied on to generate traffic to your default website. We are confident you will make a successful business with our free online business consultation. We will support you with UK Based Business Consultants. We also are able to offer a 30 day head start for individuals on a low budget. We understand times are hard and we can help you make the first steps to a prosperous future. For Sellers wishing us to promote their Brand/ Domain, we offer a Lisiting Service. We will design a logo free of charge so that we can advertise you on our Marketplace. Our commission fees are 15% commission on any Domain that gets sold on our platform. Buyers can be rest assured that all transactions are processed securely with an encrypted gateway. For transactions valued at more than £1000 we use Escrow to process payments which gives customer reassurance until completed Domain Transfer from one Registrar to another. Listing your Domains could not be any easier just use the online form and we will do the rest. We will market your Brand/Domain providing you have given us exclusive rights and you have not marketed them elsewhere. We do not accept hyphens or underscores on our Branded Marketpace. Wording should be in most cases short, although we do accept domains that are a string of keywords. We accept .com, co.uk, net, info. org .biz and geo location tlds such as .wales .cymru .de .pl and so on. This site is GDPR compliant. Real Estate Marketing Coming Soon!